So 2014 saw a total of 75 NFOs (New Fund Offers by Mutual Funds) compared to 18 in 2013. In 2012, there were 8 and in 2011 there were 11 NFOs. Last we saw anywhere close to so many NFOs was 41 in 2008 and 48 in 2007. And incidentally many of these 75 NFOs are close-ended, touting ‘the benefits of long-term investing’, but the real reason is ‘increased fees when money is there for the taking’. It is said that nothing succeeds like success. But in this case, it is better said that nothing succeeds like failure. The only question is whose success and whose failure? In the case of NFOs and IPOs, it is clear that it is the success of the issuer and the failure of the investor. Every time there is excitement in the market, the number of NFOs increase. The mutual fund industry can be trusted to raise money at exactly the right time for themselves, and the wrong time for the investor. So they always succeed in increasing their profitability (and this time it is even better with locked-in close ended funds for the long term! ), and reducing that of investors. It is rather surprising that the IPOs haven’t followed or preceded. It is probably because the promoters are smarter. Perhaps they want to wait till they can raise it at even better valuations. Perhaps their advisers are asking them to hold back till it is pretty clear to everyone that ‘this IPO cannot be missed’. Make no mistake about it – they will come, and they will come at valuations that promise ‘a once in a lifetime opportunity for long term growth’. And they will come when people who refuse to take them up will look like utter fools then – for a while atleast. The types of companies, the nature of NFOs and the stories for long term growth change, but the essence is really the same. Money is raised when it is available. It cannot be raised when it should be (at least for the investor! ), simply because it is not available at that time at those valuations. Therefore, there is no other option. A new generation of entrepreneurs will get richer. A new generation of merchant bankers and fund raisers will succeed. And a new generation of NFO and IPO investors will perhaps fail. I don’t know if it will happen this year or two years from now or five years from now. But make no mistake – happen it will. And the signs are starting. As an old cliche said, the more things change, the more they remain the same. Nothing succeeds like failure. Ending with excerpts from a 1959 speech by the legendary Ben Graham, which most of us would do well to remember, especially in times like today. This is a particular application of a much wider natural law which may be stated simply as: “There is no such thing as a free lunch,” for those too young to remember, was offered in the good old days to patrons of the corner saloon. The stock market has undoubtedly reached a stage where there are many people interested in free lunches. The extraordinary price levels of stock of rather new companies in the electronics and similar fields, the spate of new common-stock offerings of small enterprises at prices twenty five or more times their average earnings and three times their net worth (with immediate price advances upon issuance), the completely unwarranted price discrepancies indicate reckless elements in the present stock market picture which foretell serious trouble ahead, if past experience means anything at all. Let me conclude with one of my favorite clichés – the French saying: “The more it changes the more it’s the same thing.” I have always thought this motto applied to the stock market better than anywhere else. Now the really important part of this proverb is the phrase “the more it changes.” The economic world has changed radically and it will change even more. Most people think now that the essential nature of the stock market has been undergoing a corresponding change. But if my cliché is sound – and a cliché’s only excuse, I suppose, is that it is sound – then the stock market will continue to be essentially what it always was in the past – a place where a big bull market is inevitably followed by a big bear market. In other words, a place where today’s free lunches are paid for doubly tomorrow. In the light of experience, I think the present level of the stock market is an extremely dangerous one. Three years back, SEBI decided to ban entry loads on equity mutual funds to stop their gross mis-selling. What this move also ended up doing was it stopped its selling. While it is true that no one has any monetary incentive to sell mutual funds anymore, the widespread perception that the problems in the mutual fund industry are attributable to this ban is stretching the argument too far. What is being portrayed is that all that is required is to bring back the entry load and, lo and behold, all problems would go away. Mutual funds + Entry Load = Industry Problems solved. Hence, absence of Entry load is the reason for industry problems. Well, that is a bit like the example that our market research professor used to give: what we referred to as the Soda research by a mistaken researcher who forgot the ‘control sample’. 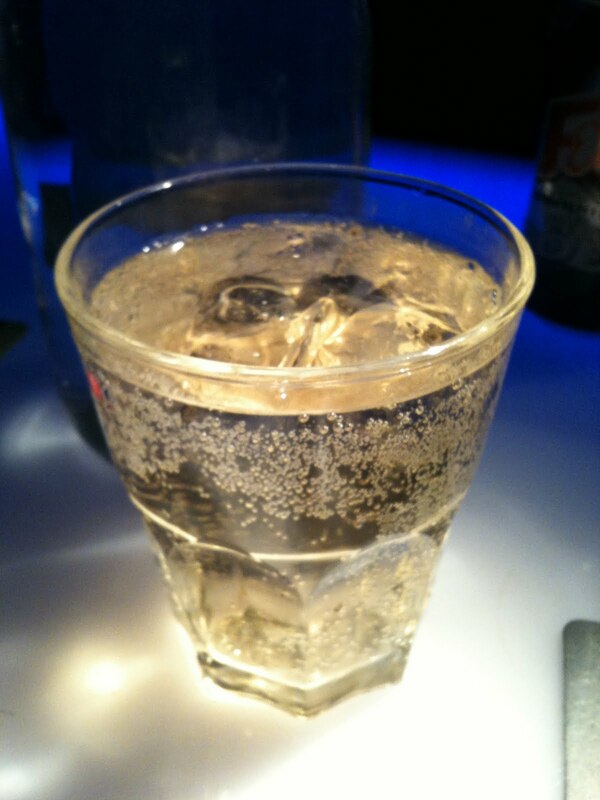 So he reached the conclusion that Bubbly Soda is the reason for intoxication! The ban on entry loads might explain why no one is selling them, but just re-introducing it as a fix for the industry’s problems is losing the forest for the trees. The truth is that the real problem is the education of the investor and a complete lack of a long-term orientation towards equity investing via mutual funds in individual investors. Fixing that does not have any magic button like increasing, decreasing or removing entry load. All that entry load explains is why a businessman sells or does not sell mutual funds. It does not explain why no one is buying them or why they are buying the wrong things with the wrong orientation. You can keep tinkering with entry load all your life, but uneducated investors will continue selling at the bottom and buying at the peak, and with mis-selling they would do it for the wrong things. The real reason for intoxication in the equity markets in not the entry load. It is a clear investing framework, and sticking to it over the long-term through multiple cycles. If you miss the alcohol of long-term orientation and educated behavior, whether you buy or sell something with or without entry load, it will not matter. You will still not get any high. Like the researcher, you can keep having that soda all your life hoping to get a high, but all it will lead to is stomach upsets. “I must leave now”, said Swami, my South Indian friend just as we were sipping our coffee. “Going out with family?” I asked, knowing that he was quite the family man. “No! Don’t ask – I have this big form I have to fill after going home, and submit it tomorrow without fail”, he said. “Hmm – something to do with your son’s school I guess. Then you better go”, I said. “Arre – nothing like that boss! In fact, it is about the boss! I have to go home and fill my performance appraisal form, listing all that I did in the year and ensure my boss gets it by tomorrow, so that he can rate my performance! You know how this corporate thing works. You have to do this every year. I am sick of it – but kya kare? Will not get my increments and bonus if I don’t fill that form!”, an aggravated Swami said. I guess my repeated questions on why he was leaving our weekend coffee discussion early had clearly pressed the wrong button. 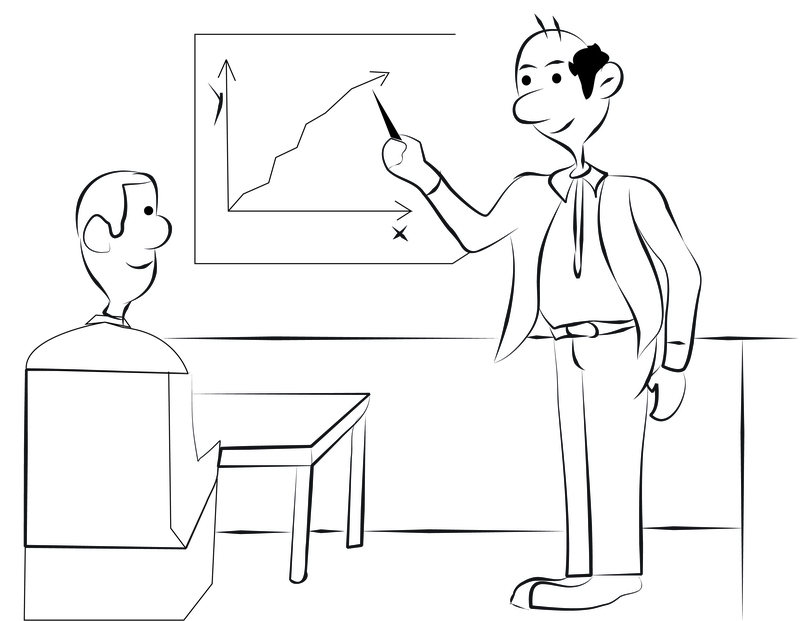 “Your annual appraisal system is part of the problem in our markets also”, interjected Jigneshbhai, my broker friend. “Yes, they say they will do it twice every year, but happens only once. Increments are only given once a year”, confirmed Swami, with a sore face. Somehow the word ‘increment’ used in corporate circles seemed like a well devised tactic to set expectations on the size of salary raises, and that expectation seemed quite evident on Swami’s face. Be that as it may, but Jigneshbhai went ahead making his point on how they were a problem. “Yes – that is right, more or less. But it is not fair to everyone, you know. Sometimes the good people get bad ratings, and bad ones get good ratings”, reaffirmed Swami, still having his issues with the appraisal process. “Well life is not always fair. But this appraisal thing affects fund managers and institutions also. They know that the time for the measurement of their performance is near. So every fund wants to beat every one else.” Jigneshbhai had a good understanding of psychology. “So what do they do?” asked Swami almost innocently. What do ‘Horn OK Please’ and ‘Mutual Funds are subject to Market Risks’ have in common? Travellers on Indian roads would be very familiar with this sign. Almost every truck, specially the big inter state ones that cross highways, has this funny term written behind them “Horn OK Please”. I have seen it often, and have never quite understood its significance. Having asked a few people, even they seem to be unaware of the meaning of this term and why it is there. Some say it is a warning for drivers behind the truck to blow the horn before overtaking it, which seems to be the most plausible explanation. Others say that O.K stands for On Kerosene as trucks earlier were run on them, so it was a warning for vehicles trying to overtake such trucks. In any case, it seems like it was supposed to be some kind of a warning for people following a truck. Perhaps, it is now just a meaningless tradition that most truck owners and drivers blindly follow – painting their trucks with a “Horn OK Please” sign without really meaning much. The funny thing is that no one cares for that sign too, except for some amusement factor. Sometimes not even that. No vehicle following trucks (other trucks included) cares for that sign or follows it – they overtake anyway as they wish. So what’s the point? I got reminded of that funny sign behind trucks a couple of times today while watching a business channel. The first occasion was when watching a mutual fund ad, at the end of which there was this scrambled, hurried announcement. “Mutual Funds are subject to market risk. Please read the offer document carefully before investing.” And the second one was after a show discussing stocks, in which an expert just before wrapping up, announced a quick disclosure shown also on screen. “I, my company or our clients may have positions and interest in all the stocks discussed. Viewers are advised to take their investment decisions at their own discretion based on advice from their financial advisor.” Or something to that effect. Both these statements and the manner in which they were made sounded to me like “Horn OK Please.” Almost all experts on the show (and all other shows) as well as all mutual fund ads ended with these statements. The people making these statements did not quite know why they were making it – perhaps they were following some tradition or regulation in this case. They were kind of making them blindly without really meaning much. Like the truck owners paint their trucks. And the people for whom these statements were made, presumably investors and traders, were not likely to take those statements seriously. They were, anyway, not going to read the offer documents, or were unlikely to neglect the advice or recommendation given just because someone had a vested interest in them. Perhaps similar to how other drivers view Horn OK Please. You read it, but you overtake anyway. Neither the maker of the statement means them, nor do the readers take them seriously. Perhaps, both get some amusement out of it. Striking similarity with “Horn OK Please”? For the equity part of their portfolio, individual investors have the choice of either directly buying stocks or following the equity mutual fund route. Many individual investors, including myself earlier on in my investing life, make the mistake of evaluating mutual funds similar to stocks. 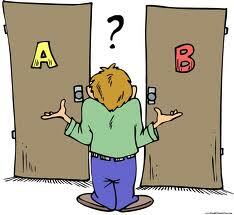 The way to evaluate funds is quite different from evaluating stocks for investment. Why is that? While direct stock investment involves researching and valuing businesses, and buying/selling them at the right price, mutual funds are pools of stocks where the fund manager takes those calls. Hence, what is important to evaluate is the ability and track record of the fund manager to take those calls, and whether that results in performance that is worth paying a fee for. The markets already do stock selection for you in the form of an Index for free. So what the fund investor needs to evaluate is whether the fund manager is worth paying the fees to – so as to get returns that are better than the Index on a consistent basis. Mandate: As mutual funds are a vehicle and have a role to play in the portfolio, it is important to ensure that the mandate of the fund is in line with your objective, and that the fund has a record of sticking to the mandate, despite changes in ownership or fund managers. Costs: The disadvantages of high costs of research and fund management can tend to surpass the advantages of better performance of actively managed funds, specially over long periods of time. So choosing funds with low costs is important. Index funds typically have the lowest costs, and guarantee returns in line with the Index. So an actively managed fund’s higher costs need to be compensated by its better long-term performance. Performance versus Index: This is often exaggerated as a standalone metric, specially over short periods of time. An investor should resign himself to the possibility of even his best fund choices not being the top performer at least some of the time. Even the best performing funds over long periods of time will have periods of under-performance. It is also difficult to predict which fund will deliver better performance in the future, even though it may have done so in the past. So rather than constantly shifting to the best performing fund, it may be better to choose one that has a record of beating the Index or being in the top 10% most of the time, and sticking to it over long periods. Price: The price or NAV of the unit is completely irrelevant, and depends largely on the starting point of the fund. This feels counter-intuitive to most individual investors, and takes a while to understand. An investor should not even look at the NAV of the fund or compare it to others before purchasing it. Dividends: Dividends paid by the stocks held by the fund are reflected in the NAV. Dividends paid by the equity mutual fund are simply a reflection of profits booked by the fund for you and paid back to you. Again this is counter-intuitive for most investors to understand, and lot of fund companies perpetuate this fallacy by marketing their funds based on historical dividends paid. An investor has no reason to feel anything positive about a fund because it pays dividends regularly. If at all, it may even be a negative specially if the fund is booking profits prematurely and not in line with the mandate of compounding capital appreciation. So broadly, while choosing individual equity mutual funds to fit into his portfolio, the individual investor should neglect price and dividends, and evaluate funds based on adherence to mandate, low costs, and consistent performance versus index; and based on the same, construct a diversified mutual fund portfolio to meet goals. 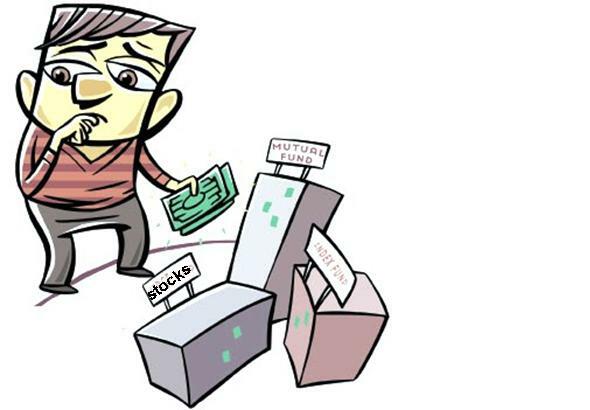 Is direct stock investing worth it or should mutual funds do? Assuming that I want to “invest” in the stock market, and not “trade” or “speculate”, getting average market returns is a no-brainer. I just need to buy an open-ended index fund or an exchange traded index fund, and I am done. At the lowest cost, I am guaranteed returns that the market index will give – day on day, month on month, year on year. 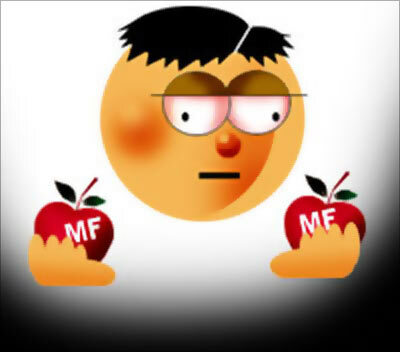 Why, then, should I be even interested in investing in actively managed mutual funds? There can be only a few reasons for that. First – they give returns better than the index after deducing costs. Second – I want an exposure to companies outside the index in a specific market cap or sector or style that I am bullish about. So it may make sense to supplement my index fund holdings by some actively managed funds that suit these requirements. After that, why should I directly invest in stocks? Is it really worth the time and effort? There are few reasons when it may make sense. First – I am a better investor and can beat markets consistently. Easier said than done, but if that is the case, there is no reason I need to invest through the fund route. It is likely to take sufficient time and effort, but if indeed one can beat the index, why depend on mutual funds? Second – I want to invest in some businesses that are either small or in under-researched sectors that funds are not allowed to, or not able to invest in. There is a section of the market that institutions are not interested in. An individual investor who understands those businesses and has conviction on a particular company, has an advantage by investing directly. Third – this is perhaps due to the structural constraints of mutual funds. Due to the inherent requirement of funds to keep beating the index, some great businesses cannot be held by funds for long periods of time. For example, a mid-cap fund has identified a great mid-cap company, but once it becomes successful and actually becomes large-cap, the fund has to sell it. Or, during a market crash, a fund has to sell some companies to honor redemptions – so a buy and hold is not possible, even in case of great businesses. In such scenarios, it may be worth it for individual investors to invest directly in stocks instead of the mutual fund route. But as index returns are easy to get, one has to be sure that these additional investments will actually help better portfolio returns rather than dilute them. Therefore, overall – allotting majority of your equity allocation to mutual funds (index or active based on performance) might be a prudent strategy for individual investors. Investments through direct stock holding can be a small part of your equity allocation – only in situations where there are valid reasons for the same. It is structurally not possible for mutual funds to implement value investing, in its completeness. Mutual funds are essentially slaves of their investors and their temperament. Simply because of the structure of mutual funds and the need to beat an index on a monthly, quarterly, annual basis, it is almost impossible for mutual funds to replicate the ‘buy value and hold long term as long as the business stays great’ approach of Buffett in toto. And there is no reason honestly for individual investors to put their money in actively managed mutual funds if they cannot beat the index. That in itself is a structural constraint on why mutual funds will never be able to fully implement Buffett’s value investing style. But nevertheless, I think individual investors may be in a position of advantage here, if they manage their portfolio well, simply because of the situation that mutual funds find themselves structurally in. One option for value oriented individual investors is clearly by not investing using mutual funds and doing value investing in a full fledged manner by directly buying stocks of great businesses at good prices and holding them, aka Buffett. But that may work for only a select few who want to do investing full-time, and may not be feasible for most individual investors. But even though most individual investors may not be able to do this, the second option for value-oriented individual investors may actually be to treat mutual funds as ‘diversified value buckets’, use them as useful stock selection mechanisms, and buy (more or less) mutual fund units based on their general assessment of value existing the market at various times. That’s one way that individual investors can perhaps be value investors in a partial sense, without having to dabble directly in stocks – but by using funds as proxy value buckets. The need of funds to constantly beat indexes will make sure that they get at least reasonable performance (else use index funds), and treating funds as value buckets will ensure that investors can practice value investing, though to a lesser extent than Buffett, and buy general market value by timing their purchase of fund units.